Europe is a wonderful continent, endlessly beautiful, with ever-changing landscapes and enough different languages and cultures to fill a lifetime. However if you only ever travel by car, the majority of the scenery you will pass by will all blend into one, fairly uninspiring blur; edge of the motorway, fairly mundane and not worth writing home about. Now of course motorways are incredible, without them cross-country travel would be a nightmare at best, but there is no question that it is not the way to really see a country. You need to get off the beaten track, and while that may mean meandering off the main roads and winding your way through those B roads at a snail’s pace, a wonderful alternative is to travel by train. Since moving to Austria, we have discovered the joys of superb, and remarkably reasonably priced, train travel, and these days we try and cover most of our long journeys by train rather than by car. For a start, it’s so much more enjoyable; you’re not stuck in a tiny box, or in traffic, you can walk around, eat in the restaurant and go to the bathroom at your leisure! You don’t have to concentrate; you can read a book, watch a film, catch up on work, or even go to sleep. But finally, and the best part for me, is that you become privy to, albeit only by a glimpse, secret parts of the country that only those privileged train passengers get the opportunity to see. I recently travelled from Innsbruck to Geneva by train, crossing pretty much the entire country of Switzerland in the process, and what a delightful experience it was. Switzerland is a truly stunning country, with landscapes to rival the most impressive across the World, and what better way to see these beautiful lakes, mountains and villages? Why from the comfort of your train carriage, earphones in, gently rumbling through the countryside with not a care in the world! The photos were taken with a phone whilst on the move, but hopefully they will capture some of the beauty and tranquility of the journey. Going somewhere new is always an amazing experience, especially when it’s in an entirely new part of the World, completely unknown and with no pre-conceptions. No matter what you encounter, it will be an adventure, and Eastern Europe definitely delivered. 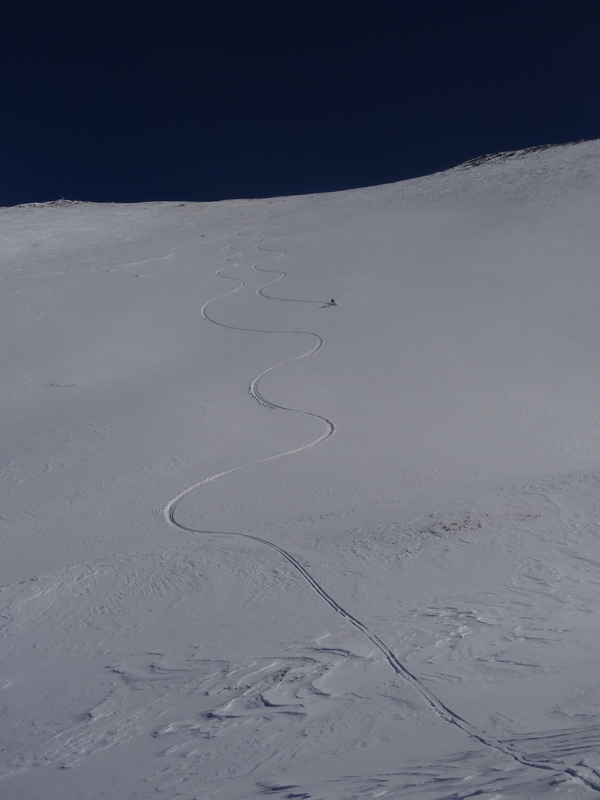 Our only basis for going was that we’d vaguely heard the skiing could be good, and the half term school holidays in France are as good a reason as any to get the hell out of the Alps. You can fly directly to Pristina, Kosovo from Geneva, so why not? * Dinner for two for €3.50! * A local Kosovar overhearing us speaking English in the street and proceeding to shake our hands, thank us profusely for our help in liberating his country, and paying homage to Tony Blair and Queen Elizabeth II! 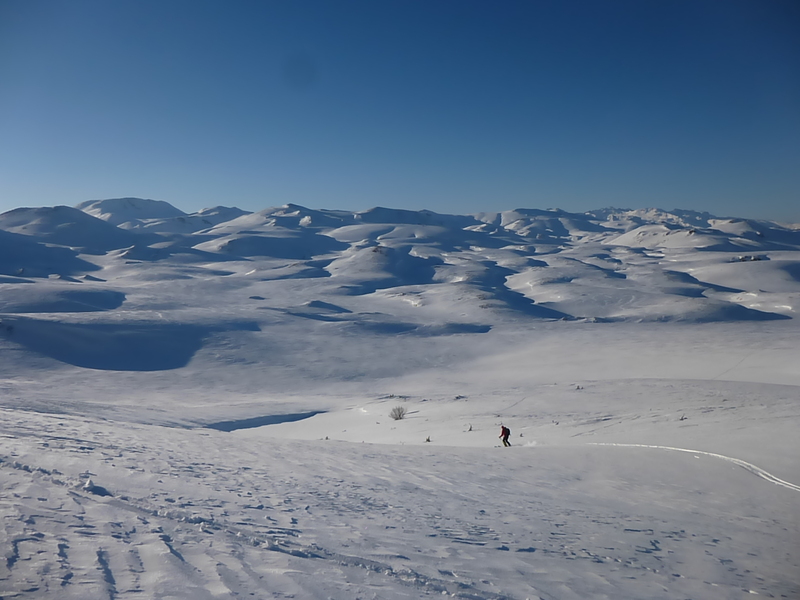 * Sledgers outnumbering skiers by at least 20:1! 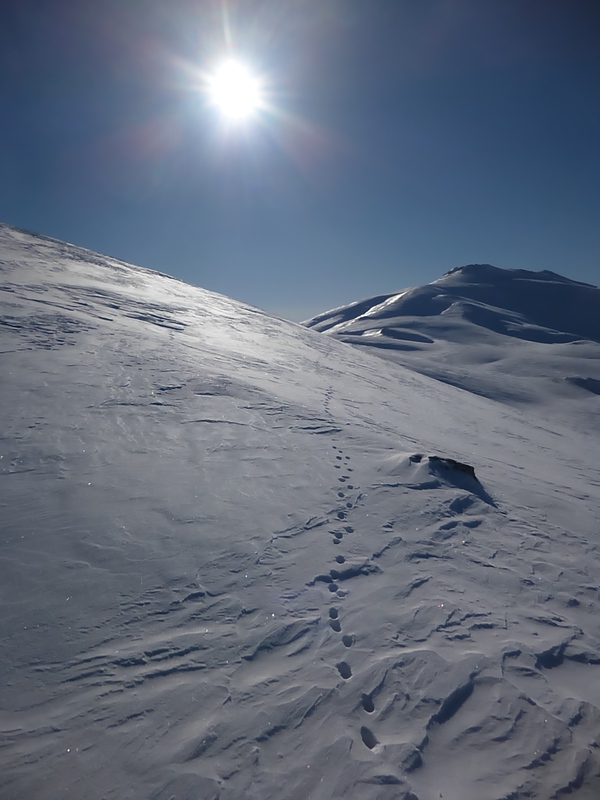 * The severe looking guards at the Macedonia/Kosovo border seeing our skis, breaking out in to smiles and telling us through the hatch where to go next for the best skiing. 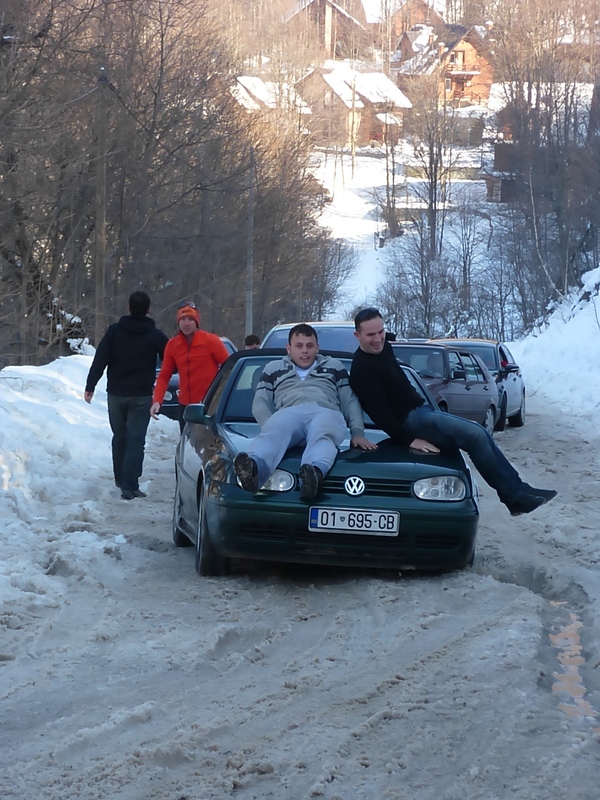 * The total and utter chaos on the roads to Brezovica ‘resort’, Kosovo, with cars, coaches and pedestrians all sharing a one track, rutted, snowy road. * Getting a ride up to our hotel on the back of a skidoo. 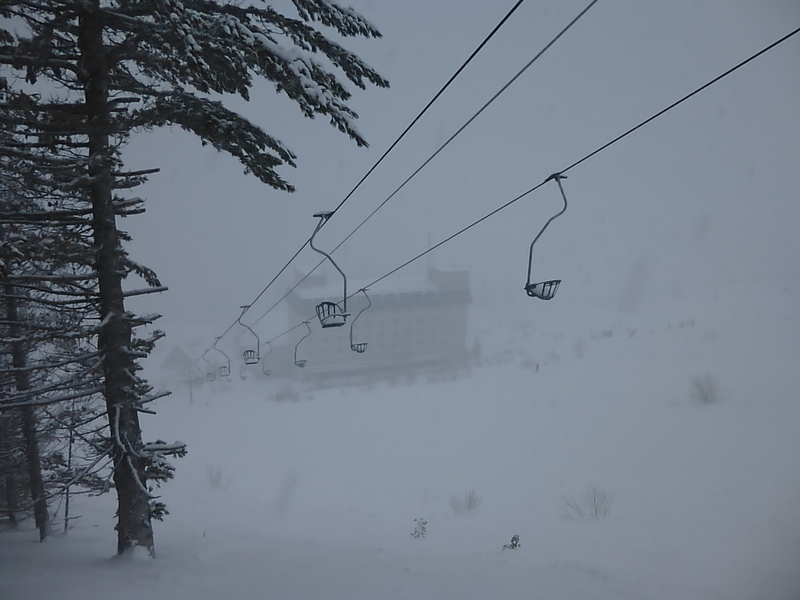 * The touts flogging soft drinks, chocolate bars and cigarettes at the base of the chair lifts from rickety wooden tables. What an endlessly fascinating and intriguing area, I don’t think I have ever come across a more welcoming, friendly and hilarious people. In both Kosovo and Macedonia there seems to be no logic, very few rules, and a definite lack of urgency. 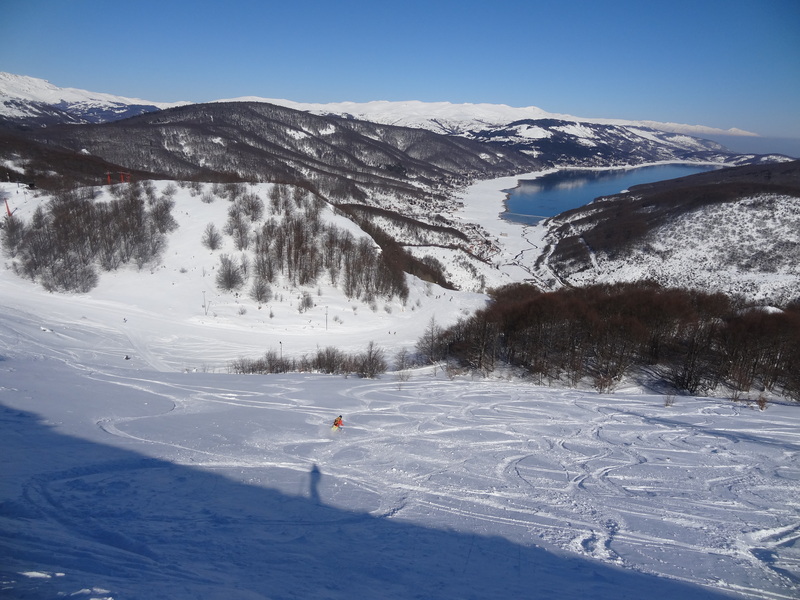 The lifts in the tiny ski areas may or may not open and if they do it might only be for half an hour. What a wonderful place, we’ll most certainly be back! 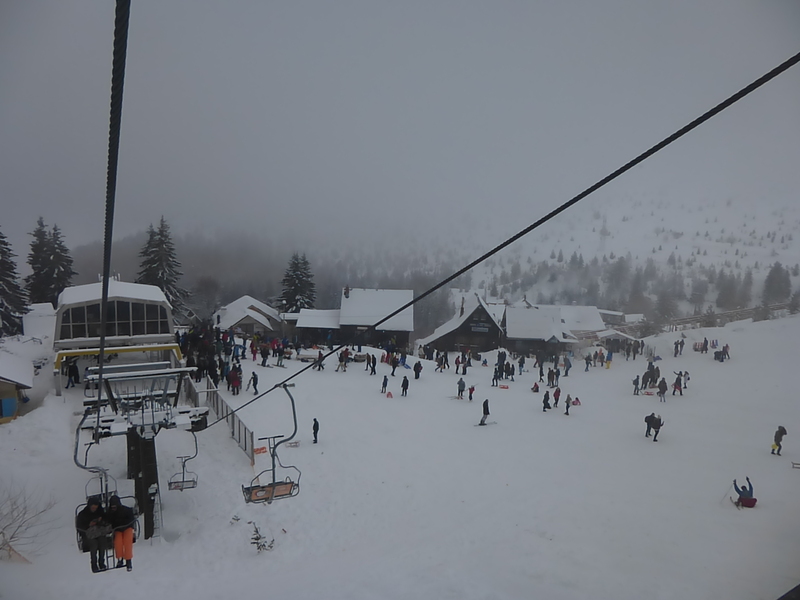 The tiny resort of Brezovica, Kosovo, where sledging is clearly the national sport! Now this is what you call chaos! 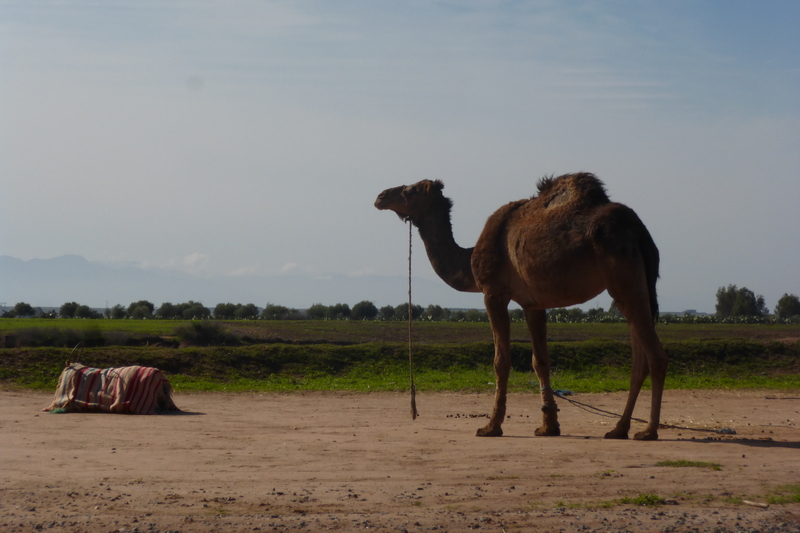 Friday thought #17 Morocco – what a place! So I’ve just spent the last 5 days in Morocco, and despite being fortunate enough to live in one of the most beautiful places on earth, I’m truly sad to be going home. I have never been to the continent of Africa before and still struggle to believe that a mere 3 hour plane ride from Geneva, Switzerland; a bustling hub of tangible wealth and fortune, you can find yourself in a place so far removed from western culture, where subsistence and daily struggle seem to simply be a way of life. It was one of the most interesting and diverse places I have ever been, and I found it really hard to say goodbye! We started off in Marrakech and those who’ve spent any time there will know exactly what I mean when I say that after just one day you genuinely feel like your brain may explode! Fascinating isn’t the word, it’s not even close, a massive sensory overload is getting warmer. There is just so much to look at, to listen to, to dodge around, to comment on. It’s so difficult to take it all in, there’s just so much of it! 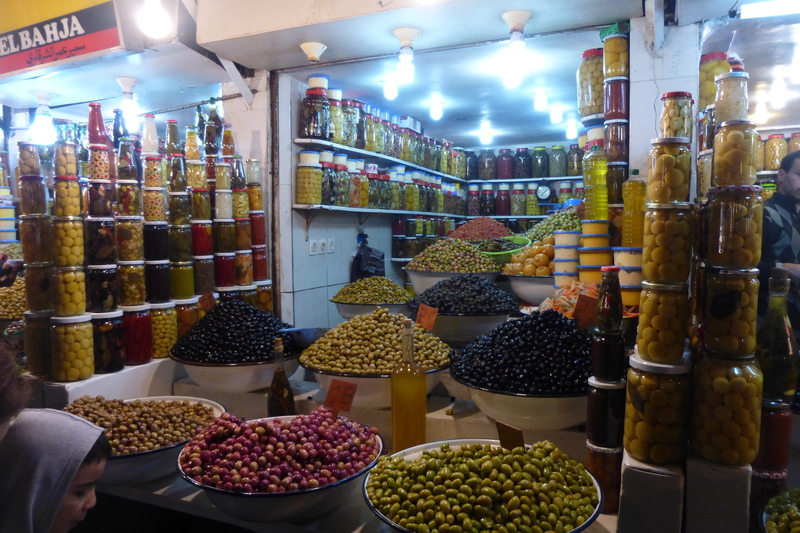 I had heard about the souks, the monkeys, the snakes and the bartering, but until you’re in it you really have no idea. It’s wonderful, it’s amazing, it’s a totally different world. 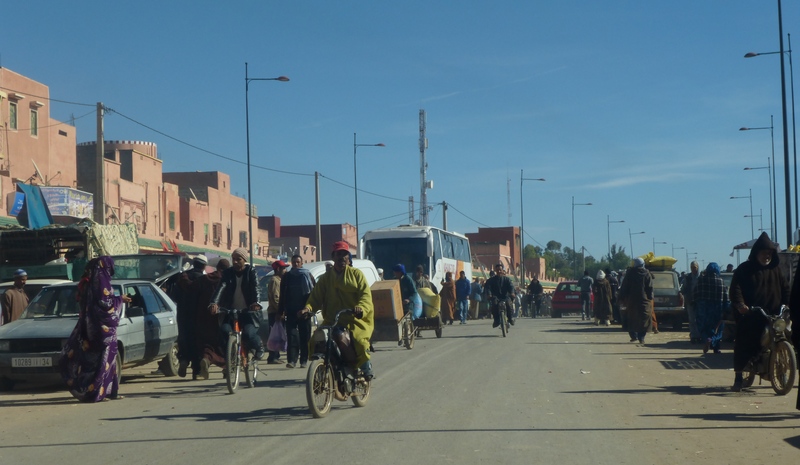 What totally blew my mind as a very first impression was the realisation that there don’t seem to be any rules for vehicles in the centre of Marrakech; rental cars, taxis, donkeys and pedestrians share the same road. Horns blaring, fingers waving and no acknowledgment of lanes; a 2 lane road to us was clearly a 5 lane road to a local Moroccan, it’s every man for himself, a stressful start! Donkey and cart navigating the traffic! The souks are seriously amazing and such fun! As a white westerner be prepared for hassle and attention, but also be prepared to embrace it! The bartering and haggling is all part of the fun and you just need to stick to your guns and only pay what you were initially prepared to pay. I assumed I’d be a dreadful haggler but was mightily pleased with myself when I managed to negotiate the price for a pair of leather sandals down from 350 dirhams to 150! 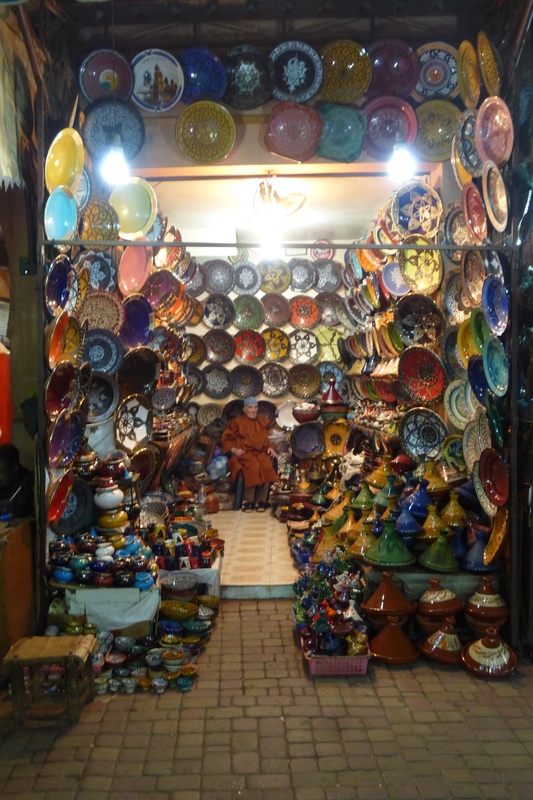 Marrakech is colourful, it’s noisy, it’s exciting, and it’s so worth a visit. For many people, Marrakech is the first and final stop, where the Moroccan experience both begins and ends, but as we discovered in just 5 days, there is SO much more to this endlessly fascinating country than its most famous city. 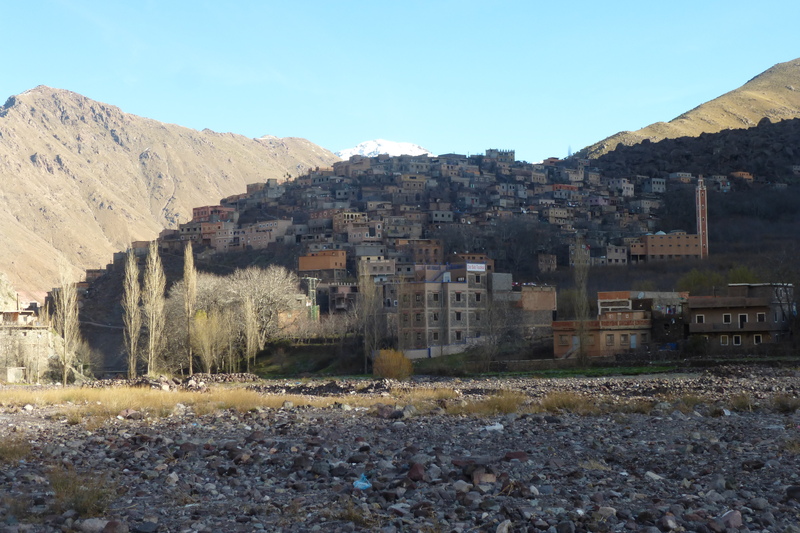 From here we headed to the mountains, to the foothills of Mount Toubkal in the Atlas range. The drive alone was worth it, moving quickly from heaving, bustling, crazy Marrakech to ‘real Morocco’. Here we found dirt roads, curious locals perched on their haunches on the roadside and random camels just grazing next to the road. We stayed in Imlil for one night, a beautiful, tiny mountain village, which would be impossible to describe. 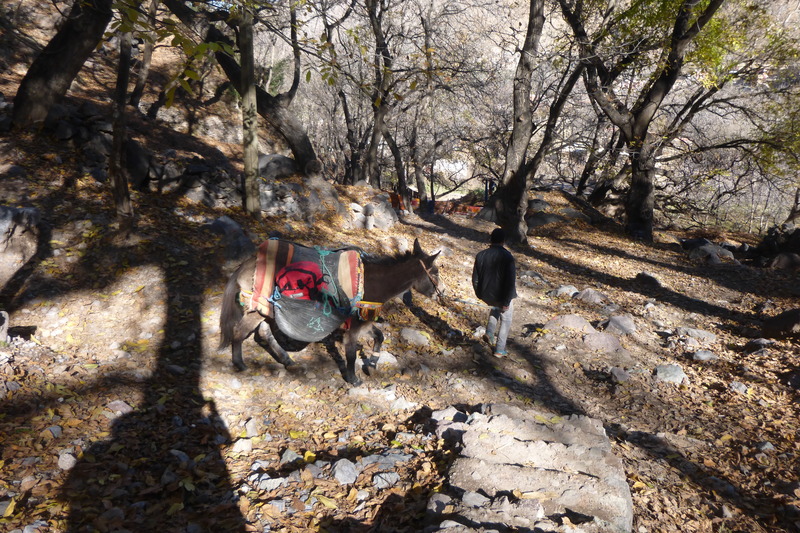 Suffice it to say that upon arrival in the village, the ‘hotel’ owner came down to meet us and loaded up our luggage to be carried up the hillside by a mule! The peace, the tranquility and the pure simplicity of such a place was something to be marvelled at. Everyone was busy, whether it was manning a stall selling local goods, hanging out the washing, or moving earth for a new building project, everyone was doing something, from the very young to the very old. Having had a whirlwind visit to the city and the mountains, the obvious end to our short trip was a few days by the sea. This I loved. It’s December and we wandered round Essaouira in flip flops and t.shirts! Quite the novelty coming from winter in the Alps! 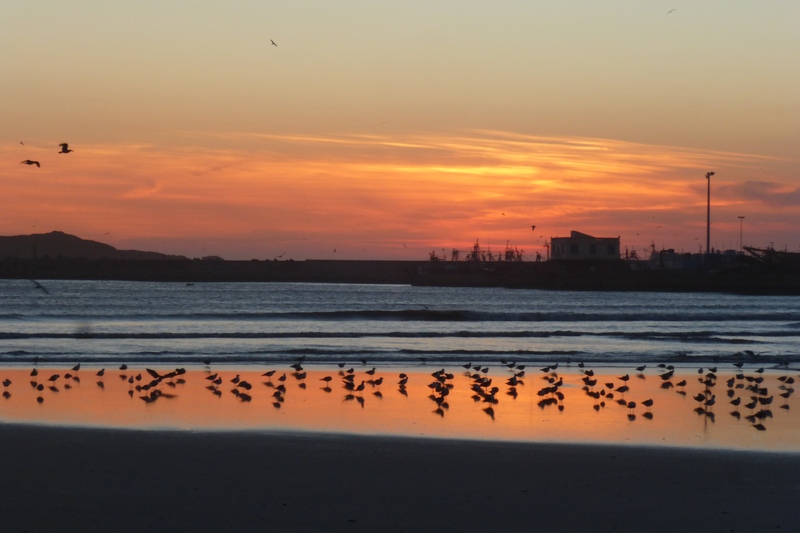 A sunset on the beach in December is hard to beat and without a doubt I could have spent a lot more time in Essaouira. I never cease to marvel at how air travel can make you feel so far away from home so quickly. These 5 days have reminded me that I want to do trips like this for the rest of my life. From the precious little I saw of it, Morocco is a country that makes me feel like I have gone back in time, and not just a few decades, I’m talking medieval. 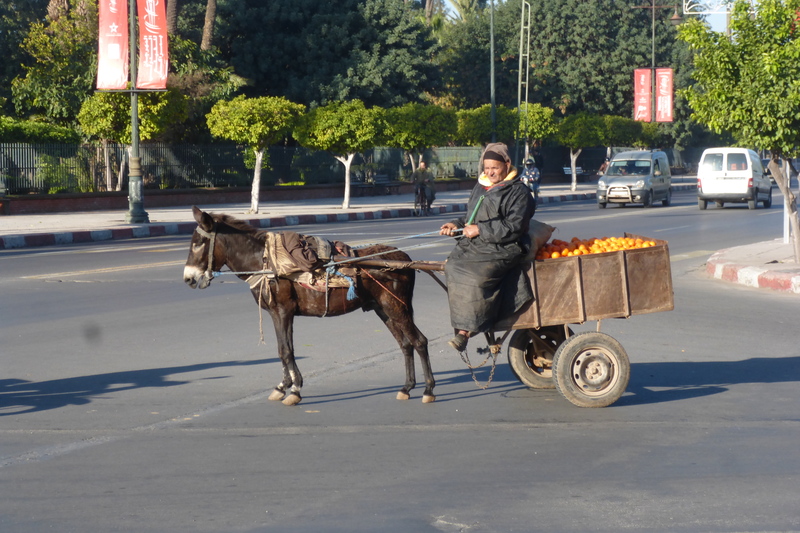 People live off the land, donkeys and horses are used as transport on a daily basis, happily trotting along main roads and many people are living in sheer squalor yet seem very content. Fashion plays no part, there is no materalism (wow there’s even no alcohol!) It’s good to see how other cultures live, it’s interesting, it opens our eyes, changes our perspective on our own lives. Morocco is a wonderful place and I will most certainly be back.